Happy Belated New Year! After taking a small break from blogging during the holiday period, I am more ready than ever to jump straight back into it with a new blog post. Since I was so impressed by Look Fantastic's 2017 Advent Calendar, I did not hesitate to purchase last year's and each day revealed a wonderful surprise that any beauty lover would enjoy. 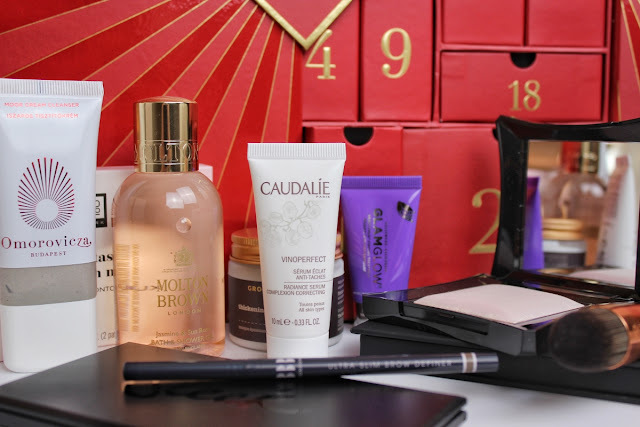 I have gathered up a mix of products ranging from hair, skin and makeup to review from this beauty-filled Christmas advent calendar. 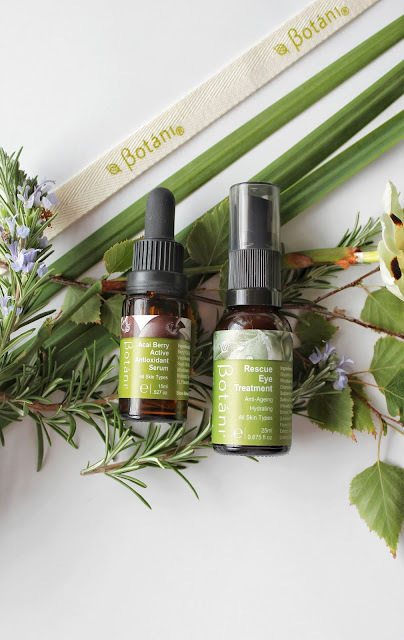 I was first introduced to this luxe Hungarian skincare brand through Look Fantastic's beauty subscription boxes and there hasn't been a single product by them (so far) that I haven't loved. Formulated with Moor Mud (derived from a thermal lake in Europe), this mineral-rich cleanser gently detoxifies and purifies the skin without overdrying it. The blend of eucalyptus and peppermint oils feels very cooling and refreshing on the skin however, it is quite a strong smell which may be off-putting to some. Other than that, it does a great job at deep cleaning your skin removing all of that yucky dirt and build up for a smoother, more clear complexion. 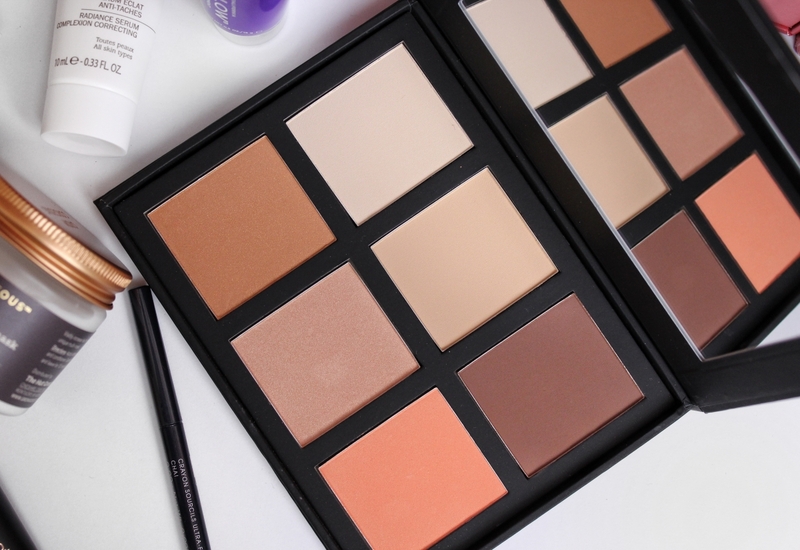 It's been a good while since I've used a product by Sleek Makeup and as I already own a couple of their i-Divine Eyeshadow Palettes, I knew I was going to be in for a treat! 'A New Day' is what dreams are made of with the warm bronze tones, shimmery golds and peachy nudes which definitely makes it my ideal palette. I really like that there is an even amount of mattes and shimmers to play with, and enough light to dark shades to transform your look from day to night. Super happy with the quality of this palette and it was such a pleasant surprise. A brand I've only just discovered through this calendar and I have to say, their brow pencil is amazing so very good first impressions! The retractable pencil has an extremely slim tip which allows you to define and fill your brows with utmost precision. It's easy to work with (not too soft and creamy or dry and scratchy) and also has incredible staying power so you know it won't let you down during hot days or long nights. 'Chai' isn't too bad of a shade on me so I can totally see myself using this a bunch! As soon as I read the word 'thickening', my excitement levels exploded because my fine, limp hair desperately needs it! I absolutely despised this mask at first because all it did was leave my hair feeling heavy and dirty while my roots felt greasy (it wasn't pretty as you can imagine). 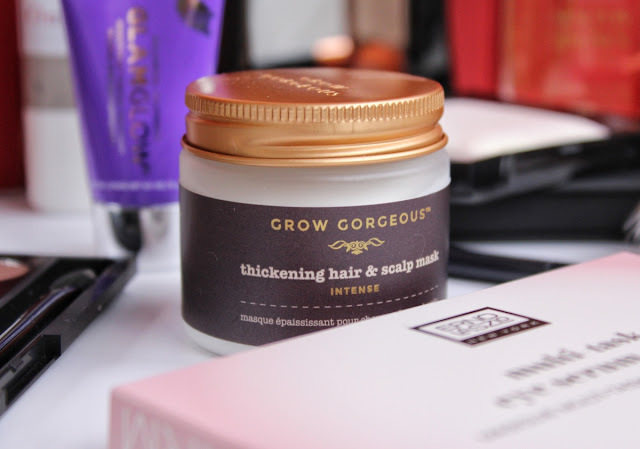 After reading such rave reviews, I gave it a second try, thoroughly rinsed it out and the results blew me away because I had full and voluminous hair. Somehow this thick creamy paste gave my flat hair life without weighing it down or seriously drying it out (thanks to the coconut oil and hyaluronic acid), and I think it's very much worth adding to your hair care routine. 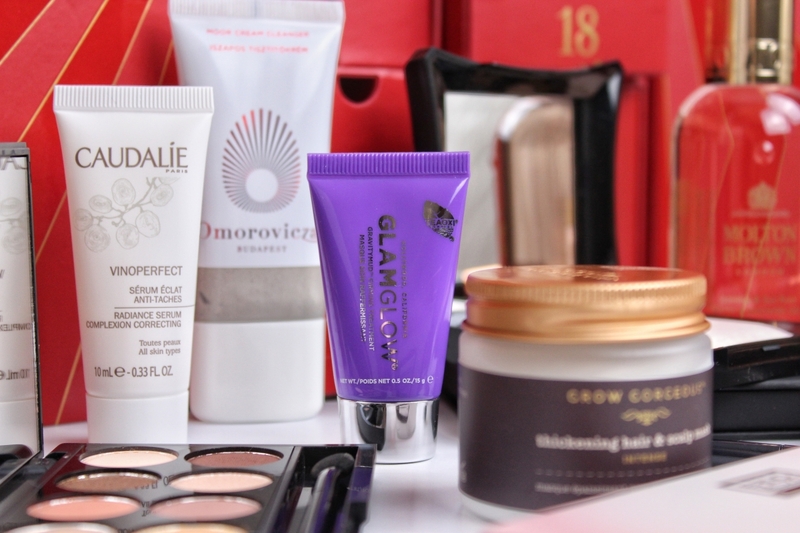 Do I like it more than my beloved Christophe Robin Cleansing Volumising Paste? Not quite, but it is a very close second! The French just know good skincare and Caudalie create some of the most beautiful products around so I could not wait to slap this serum on my face! As I have acne prone skin, I am always incorporating products to help fade away spots and although it's too early to say whether this does or doesn't, I do love how youthful and radiant it makes my complexion look. It has a lightweight milky consistency that absorbs into the skin nicely and I like to use it in conjunction with their Vinosource Moisturising Sorbet which plumps up my skin, leaving it feeling extra soft and well hydrated. I'm a big fan so far and if it wasn't for the high price tag (roughly $100 - yikes! ), I would probably buy it in a heartbeat. I believe this is in collaboration with Look Fantastic and it's a fairly decent face palette with its sleek matte packaging, large mirror and generous sized pans. 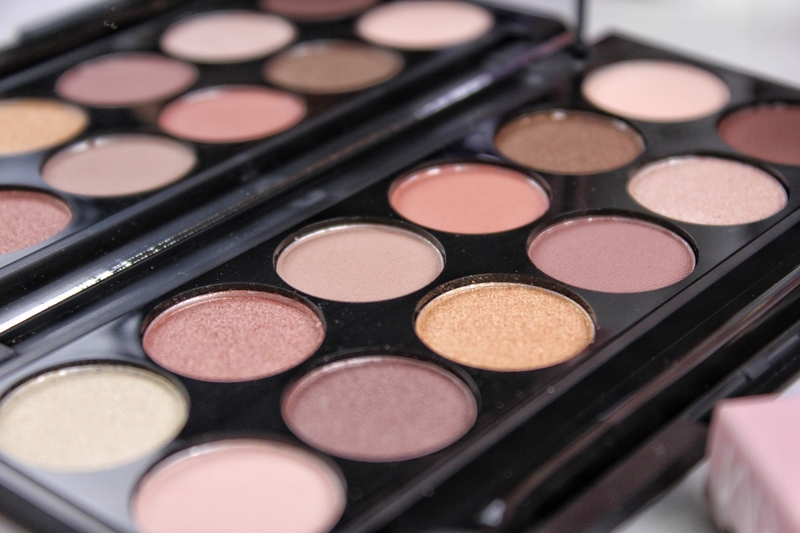 Inside this palette you'll find 3 powder foundations, a bronzer, highlighter and blush that would suit a few different skin tones. 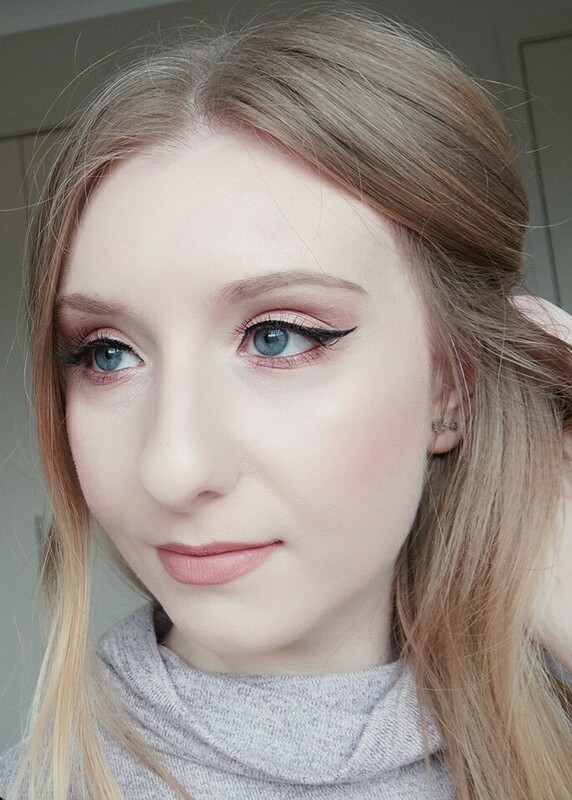 I don't typically use powders as foundations so I prefer to use 'Shell' as an all over face powder to set my foundation and seeing as the champagne illuminator is a tad too dark for my fair complexion, I like to apply it over the blush shade as a topper and it looks absolutely gorgeous on the cheeks! Just when I thought that nothing could smell better than Molton Brown's Gingerlilly Body Wash (it's what I would imagine Tahiti to smell like), straight out of the advent calendar comes Jasmine & Sun Rose with notes of peach, raspberry and patchouli (to name a few). It's summery, floral, delicate and sweet all at the same time and it is such a joy to use! It makes showering exciting because I cannot wait to lather myself in this luxurious shower gel and your skin is left smelling heavenly. I might actually have to invest in the full size because it is such a beautiful product. First of all, I am super impressed by these hydrogel eye patches. Second of all, I need more. I really appreciate the fact that they aren't completely saturated in serum so they sit nicely under the eyes without sliding around and I love the cooling effect as well. 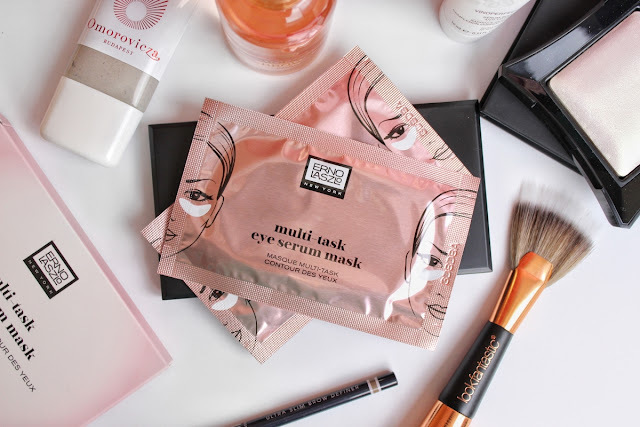 Immediately my under eyes looked much brighter and smoother which I certainly wasn't expecting after only one use. The key ingredients are algae extract to boost skin's firmness, vitamin B3 to aid in cell renewal and allantoin which contains soothing and calming properties. Highly recommend trying these out for yourself - they are truly wonderful and do exactly as they claim! Gotta love a surprise Glamglow product and this particular one is different to any other face mask I've tried. Usually peel-off masks are intended to draw out impurities and blackheads from deep within the pores, but this one works to firm and renew your skin for a more youthful complexion. Once applied liberally to clean dry skin, it changes from bright white to iridescent chrome and you kind of look like Tin Man from Wizard of Oz but that's all part of the fun! It peels off a heck of a lot easier and painlessly (unlike those charcoal ones that can literally pull out hair), and I did notice my skin looking glowy and feeling more supple. It's definitely not a gimmick - it's quite innovative actually and a very fun way to boost your complexion. Day 25 revealed this unique gold-green baked highlighter in 'Deity' (the photos do not do it justice). It is intensely pigmented and it applies like butter over the skin for an extreme glow that can (almost) be seen from space. 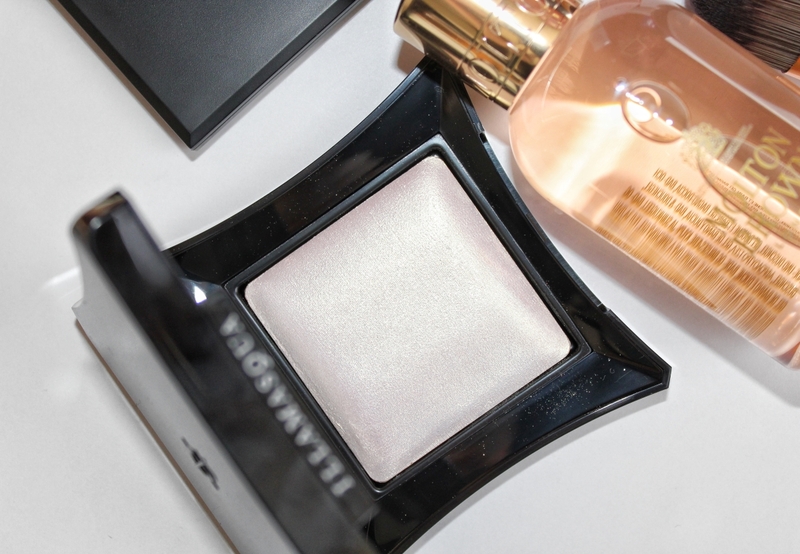 Not a highlighter I would personally wear day to day, but on a night out it would look absolutely stunning with a glam makeup look. I was low-key hoping for the shade 'Daze' because it looks so ethereal and pearlescent which is undoubtedly my kind of shade, but I am very happy with this one and I look forward to blinding people with it. 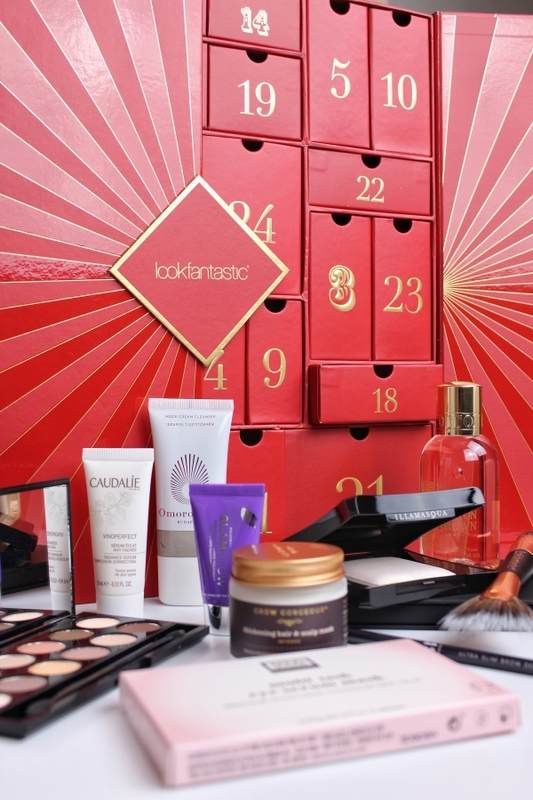 Do you have a favourite Christmas advent calendar?